Powdered cocaine and crack cocaine are the substances posing the greatest drug threat in Connecticut. The drug is readily available in the state, and the abuse and distribution of cocaine are associated with a higher rate of violent crime than any other drug. African-American, Jamaican, Dominican and Puerto Rican and other Hispanic criminal groups based in Connecticut, primarily use private and rental vehicles on Interstate 95 to transport the majority of the drug available in the state from New York City. Cocaine is also transported on commuter trains and buses from New York City as well as on commercial planes from other places. In Connecticut, the criminal groups mentioned earlier are the dominant mid-level as well as wholesale distributors of cocaine. Local crews, street gangs (which are not punished severely enough but this is another topic), and several local independent dealers, Puerto Rican, Jamaican and African-American in particular, are the most dominant retail distributors of powdered cocaine as well as crack cocaine in the state. A lot of criminal groups that distribute the drug in Connecticut also distribute other illicit substances like marijuana and heroin. America’s war on drugs has failed and will continue to fail but this is also another topic. Connecticut ranked 7th on the list of states with the biggest drug problems in 2017. Studies have shown that adults in the state are in the 19th percentile of those who used illicit drugs in the past month. The state also ranked in the 11th percentile of deaths caused by drug overdose per capita. Alarming statistics also showed that the drug problem in Connecticut affected youth at a very frightening rate and this state has a serious budget crisis since they have increased taxes on hard workers but let’s get back on track. The state’s teenage population joined adults in the 19th percentile of people who used illicit substances in the past month. There has been a gradual increase in the number of deaths involving cocaine in Connecticut since 1997. Data from the Connecticut Office of the Chief Medical Examiner revealed that the illicit drug was a factor in the deaths of 11 people in 1997, 12 in 1998, 18 in 1999 and 19 in 2000. Of the 19 cocaine-related deaths in 2000, 9 also involved heroin, and 12 involved alcohol, codeine, methadone, or morphine. A particular concern in Connecticut is cocaine abuse among high school students. 5.8% of eleventh and twelfth graders who were surveyed in 1999 reported that they had abused powdered cocaine at least once in their lifetime, while 3.0% reported that they had abused crack cocaine at least once. If you live in Hartford or Fairfield County and have fallen victim to substance abuse don’t hesitate to seek treatment. There are enormous resources at your disposal. 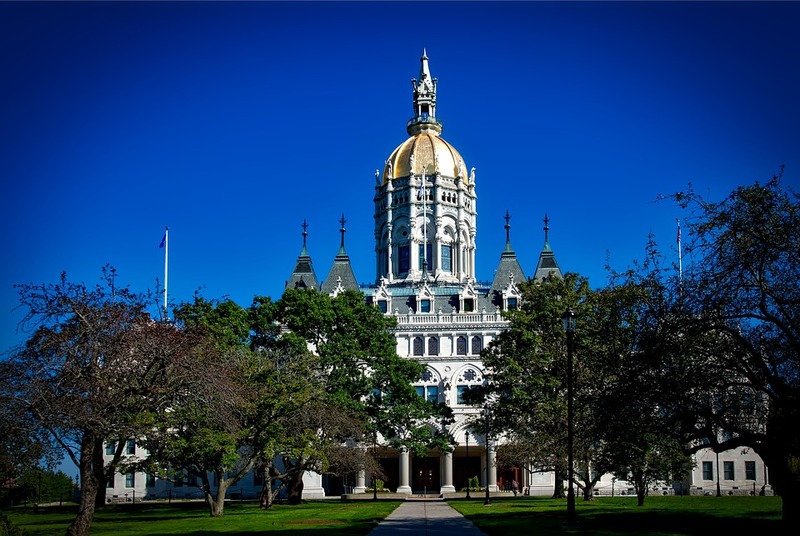 With a population of 124, 705, Hartford is the capital of Connecticut, located in the northern part of the state. As in different parts of the state and the United States, the city is facing a major drug trafficking problem. This has resulted in many of the citizens of Hartford struggling with serious drug addiction issues. Cocaine and heroin are two of the most commonly abused illicit substances in the city. With such a large number of cocaine abusers in Hartford, it is important to have quality drug treatment centers to help those who want to stop abusing the drug and live without the disease of addiction. There are different types of drug rehab that you can enter to get help to recover from your addiction to cocaine or any other drugs or alcohol. You can receive quality treatment from trained and experienced professionals in a safe environment and focus on improving your life. Crack cocaine use shows many of the same signs and symptoms as cocaine use. This form of cocaine is smoked, so you may find tiny plastic bags and small glass pipes after an individual smokes crack. The highs from crack cocaine and powder cocaine are similar but the high from crack does not last as long. A person may go off to use more of crack cocaine after just 10 or 15 minutes. A person who uses crack may have burns on their lips or fingers due to burns from crack pipes. When an individual uses crack in high doses or in binges, symptoms often include aggressiveness, antisocial behavior, paranoia, delusions and disorientation. A user who has become addicted to the drug will be driven to use more crack and this will become the main priority in life over family, health, work or career. How to Tell If Someone is Using Cocaine? There are a number of signs that you can watch out for to determine if someone is using cocaine. First, if an individual is using the drug and does not want anyone to know, they will often slip away to use it and come back in a very different mood. They may act more confident, be more talkative or seem more excited and exhibit a higher sense of well-being. Their energy will be pumped up and it is likely that they will not have much of an appetite for food or have a normal sleep pattern. Another clear sign of cocaine use is traces of white powder around the nose of an individual – an indication that the person snorts the drug. While many people prefer snorting cocaine, there are users who dissolve and inject it. There are also a few users who consume the drug orally, which can result in severe intestinal damage. Eyes that are overly sensitive to light, or dilated pupils are signs of cocaine use as well. Other indicators include runny noses, and after prolonged cocaine use, nosebleeds, and damage to the inside of the nose. An individual who uses cocaine may also dissolve and inject the drug, in which case you will find needle marks on the hands, arms, neck, or feet as well as discarded syringes that the user leaves around where they inject. When an individual has been using cocaine for a long period of time, they often deteriorate physically and mentally. Symptoms of long-term abuse of cocaine can include nervousness, agitation, depression and fatigue but unable to sleep. The individual may feel severe distress about life without any good reason and will also have extremely strong cravings for the drug. When they have used cocaine continually for a long time, there will be an increase in the tolerance for the drug and the user will require more of the drug to create an effect similar to earlier use. If a cocaine user tries to discontinue use, they will go through intense cravings for the drug. They may experience a “crash” which consists of long periods of sleep, depressed moods, irritability, apathy, and anxiety. Events like these can leave a significant mark on the mind of a person who experiences them, and with course of time, they might resort to addictive drugs in order to soothe their distress. The association between this type of trauma during childhood and substance abuse in their adult years is quite clear. With proper therapy, people can get the help they need to process these events so that they will not be tempted to use drugs as a way to cope. However, people who do not get the therapy they need may be vulnerable to drug addiction down the line. Every individual who abuses cocaine or any other drug has unique needs and issues that need to be addressed. This means that there is no one drug treatment plan that works for everyone. Each individual needs a treatment plan that is designed to address their needs and issues so that their chance of overcoming their addiction is maximized and they are more likely to recover. In order to find the treatment that works for you, you must go through a few processes and enter the best drug treatment program your addiction to the drug. The first step that you must go through is the drug addiction process. This is a simple yet critical process to help you find the best cocaine treatment program in Hartford, Connecticut. This is an interview with a professional who is trained to diagnose whether or not you have an addiction and if you have any co-occurring conditions and determine the extent of your addiction, symptoms and how addiction to cocaine has impacted your life. During the assessment, you will be given a questionnaire that asks about your history of substance abuse, your current drug use, patterns of behavior, history of physical and mental health, etc. The information you provide will be confidential and only used to help you find the right treatment program. You may also be referred to a physician for a medical evaluation to check your physical health and find out if you have any co-occurring health conditions. The information from the drug addiction assessment and medical evaluation will play an important role in the treatment you receive when you enter a drug treatment facility. For example, if the doctor finds that you have a co-occurring condition, your treatment plan will include the medications you need to treat that condition. You can find a number of assessment options in Hartford and go through the process in person with a professional or via phone and online options. The next process is the pre-intake. During this process, you will be given a form to fill out as well as a list of documents and personal belongings that you can bring into the drug treatment center once you can enter it. The pre-intake is another important process that helps you in finding the right treatment program for your cocaine addiction. The pre-intake is conducted in private settings and any information that you provide during this process is kept confidential. The information you provide is used to tailor a treatment plan that will address your unique needs and issues. The pre-intake process gives drug treatment providers a better understanding of your specific addiction and how your needs and issues can be handled during your stay in the center. Armed with the information you provide, the providers will design the best plan to ensure that you have the best chance of recovering from your addiction to cocaine. Next comes the intake process. This is another important process that involves an interview with the admissions staff of a drug treatment center or other professionals like counselors and therapists. The information you provide will give drug treatment providers a clearer picture of your addiction as well as your personal and professional life. The intake involves a wide range of questions that you will be asked. This is the part that is a little challenging as many of the questions may be embarrassing or seem invasive. This is when many people are not truthful in the answers they give due to shame or embarrassment when it comes to certain questions, like those that pertain to their drug habits, addiction, or mental health issues. You might feel inclined to hide certain facts too, but keep in mind that it will only hinder the treatment you receive, possibly making it ineffective. Why and when did you decide to seek help for your addiction to cocaine? Was it the result of an ultimatum, intervention, court order, etc.? When did you first use drugs? What was the first drug you used? Did you begin your substance abuse with cocaine? How many times a day do you use it? Do you mix it with any other drugs or alcohol? Are you on or supposed to be on any medication for a medical or mental condition? How has your addiction affected your life – family, social, academic, and professional? Is there a history of substance abuse in your family? Is there a history of mental disorders in your family? How do you finance your addiction? Do you have a criminal history? As you can see, there are many questions that may be difficult to answer, but it is important to be as honest and open as you can. This will ensure that you receive the right treatment plan to help you recover from cocaine addiction, and lower your chances of relapsing when you complete your program and leave the facility. All of the information you provide during the intake will be used to put together a personalized and effective cocaine treatment plan for you. For example, knowing about your requirement of prescription medication will have an influence on the choice of medications that will be administered during the detox process. Although detox is not a part of drug treatment, it does play an important role in preparing a patient for the actual treatment. It provides a strong foundation for treatment. When an individual uses drugs, a large amount of toxins and harmful substances collect in the system, doing a lot of damage to various organs in the body. You need detox to flush out these toxins. It is not possible to predict the length of detox as many individual factors related to the patient’s cocaine abuse have an effect on it. You can flip the switch for inpatient or outpatient settings for your detox. While both have their own benefits, going to an inpatient detox center is best as you get 24/7 medical care and support. There will be a team of trained professionals to supervise the process and monitor you as you go through the withdrawal symptoms. They can also administer medications to help you sleep and ease painful or uncomfortable symptoms. As mentioned earlier, although detox provides a strong foundation for treatment, it is not a substitute for treating abuse or addiction to drugs. After completing the detox process, you will need to enter a drug rehab program to address your addiction to cocaine if you want long-term recovery and begin living a life without substance abuse. Also known as residential treatment centers (RTCs), an inpatient treatment center is one of the options for treating substance abuse, including cocaine addiction. In this type of program, you will need to admit yourself into a facility for a certain period of time, depending on the extent of your addiction. Every day in an RTP is scheduled and accounted for. The program will involve individual, group and family counseling, therapy, and other treatments designed to help you address various issues and overcome them and ultimately, recover from addiction. Apart counseling and therapy, some inpatient treatment centers also have 12-step programs where patients can receive support from others who are struggling with or recovering from cocaine addiction. For many people, 12-steps programs are very helpful and they find that having others to connect with helps them with recovery. In some programs, there are also educational and vocational classes that you can enroll in to help when you leave the center and go back to your normal life. Outpatient treatment programs (OTPs) offer the same services and treatment that inpatient treatment programs do. The only difference is that you do not need to stay in a drug rehab facility to receive the treatment you need. Treatment sessions will be scheduled on specific days throughout the week and you will need to attend these sessions to effectively treat your addiction to cocaine and recover from it. Although OTPs can be effective, they are better as a step-down program after completing primary treatment in an inpatient treatment center. There are also intensive outpatient programs (IOPs) that you can enroll to receive treatment and medications to help you recover and prevent any chance of a relapse. IOPs give you the support you need and enables you to live independently while still getting the help you need to get clean and live without struggling with cocaine abuse and addiction. Sober living homes, on the other hand, offer you a place to stay when you have completed a treatment program and do not have a safe or supportive environment to return to. These homes have groups of recovering addicts living together and supporting each other as they make the transition to normal life. Sober living homes have strict rules that everyone must follow. They will also be responsible for their own lives while living there. This means that they will need to pay rent, buy food, etc. – you will basically have to live in the facility as you would in your own home. You will also need to submit to random drug tests. If you fail these tests, you will need to leave the sober living home immediately. If you or a loved one is struggling with addiction to cocaine, you will be glad to know that there are many excellent drug treatment centers in Hartford, Connecticut that offer effective programs to help you get clean. With the help of trained and experienced drug treatment professionals, you can get the treatment you need to begin your road to recovery and rebuild your relationships with loves ones and live a happy, healthy life without the disease of addiction.